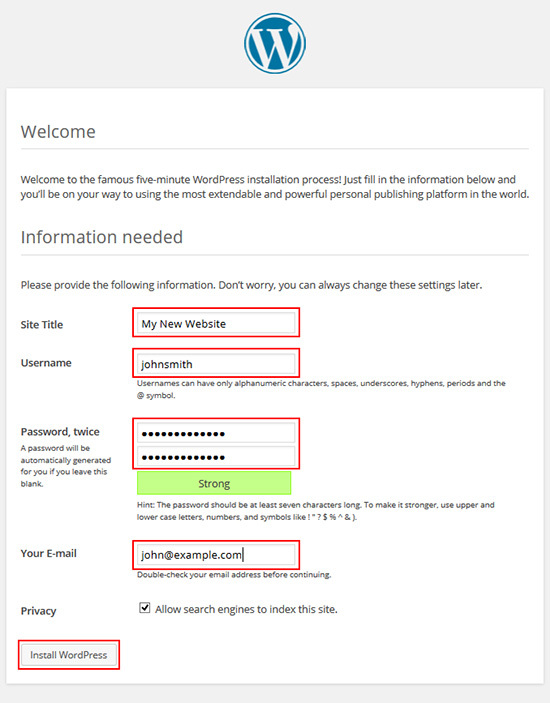 In order to install WordPress to your hosting account, you will need to log into your hostControl account. 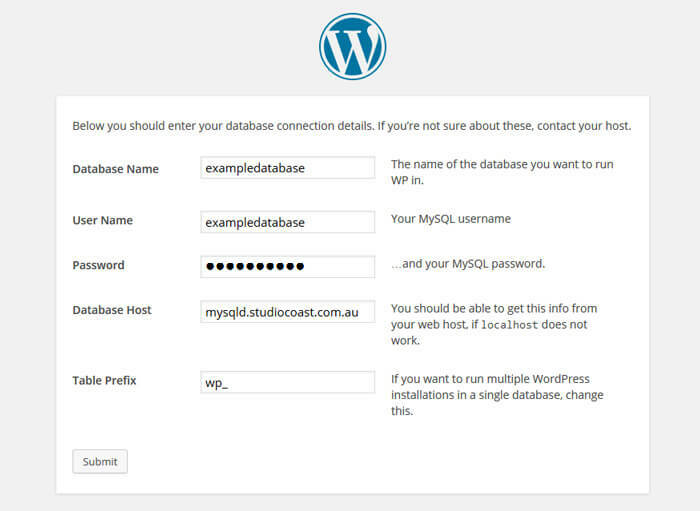 Wordpress requires a MySQL Database to run. So firstly, create a database. 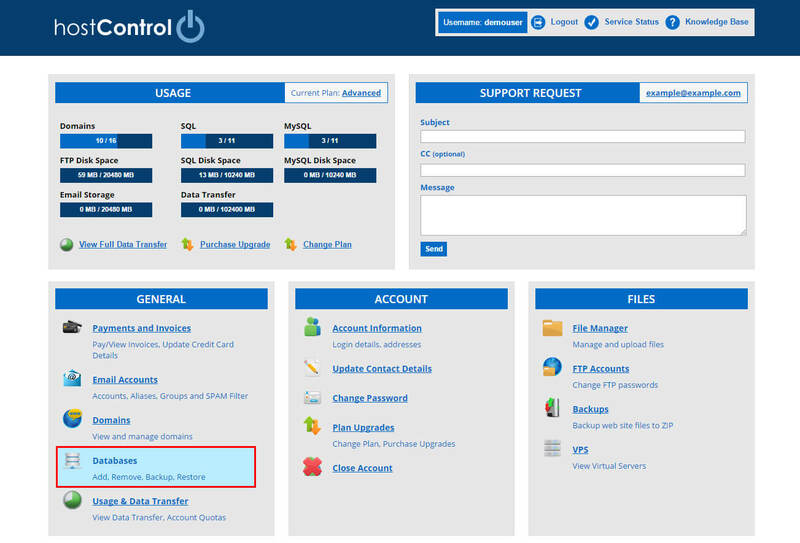 To do this, select the "Databases" menu item from the General section. Next, select the "Create" button. Next to "Database Type", select the dropdown meny and choose MySQL. Next, enter in a name of your choosing into the "Database Name" field. For security purposes, the password is a randomised alpha-numeric combination. Once you have filled out the information click Create Database. You will then see your newly created database in the list. 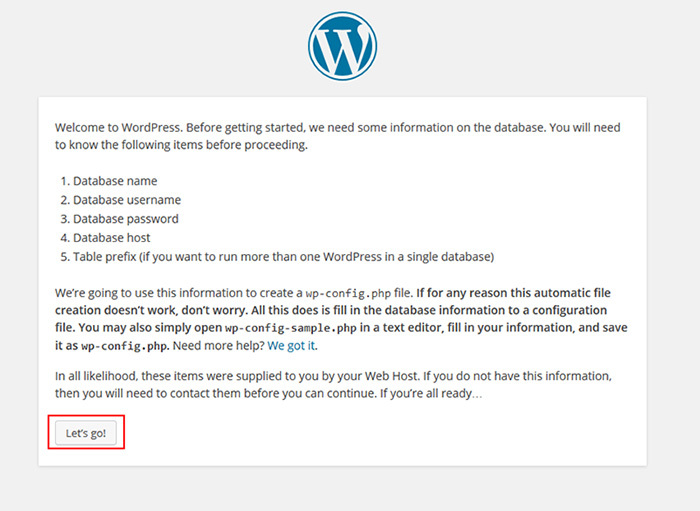 Keep this tab/window OPEN as you will need to refer back to it for the Wordpress installation process. Open a new tab and select the "Wordpress" link from the "Applications" section. Choose what domain or sub-domain you would like to install it to from the dropdown menu. If you would like to install it to the root of the website, leave the next box blank. If you would like to install it into a subfolder, type the subfolder name into the box. After you have completed this, click Install Application. The system will place all the neseccary files to begin the installation of Wordpress. In order to continue, type your domain name into the URL Address Bar in your browser, which in this example was example.com. 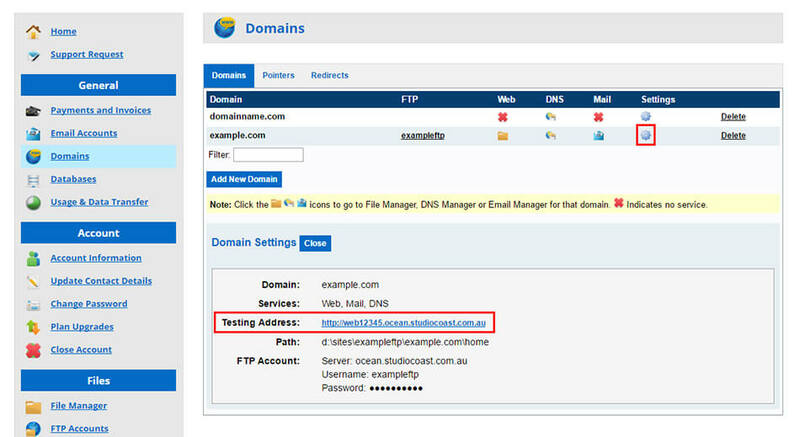 (You will need to ensure that the domain's DNS is pointing to us otherwise you can use its testing address. If you are unsure, visit your domain name in your browser to see if a Wordpress installation screen comes up). Once you have typed your domain name into your browser, you should see an option to choose your language. Choose your language and select "Continue". 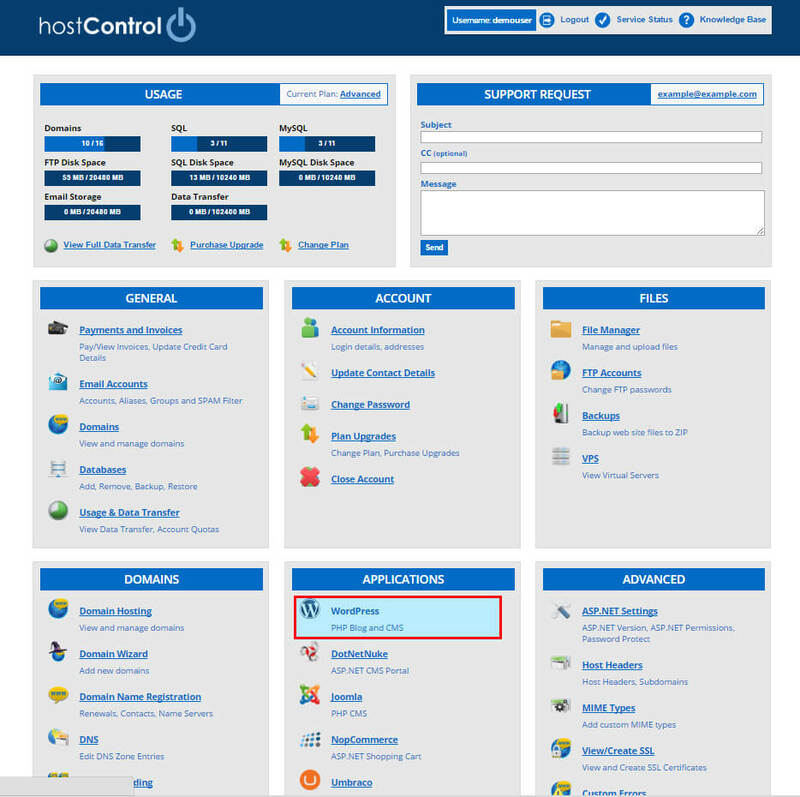 The next window will inform you that we need to setup a configuration for your Wordpress installation in order to connect the MySQL database. Select "Let's Go!". On this page, we will be entering in our MySQL Database information. Refer to the tab you had open with your database details. The database name and username will be the same. Click Submit to continue. If successfull, you should see the following page. Choose the "Run the install" button. This last screen is where you will need to enter your site information, login and contact details. For security reasons, we recommend not choosing admin for your username. If you leave the password section blank, it will create a randomized password for you. Otherwise, ensure you choose a strong password made up of lower & uppercase letters, as well as numbers or symbols. 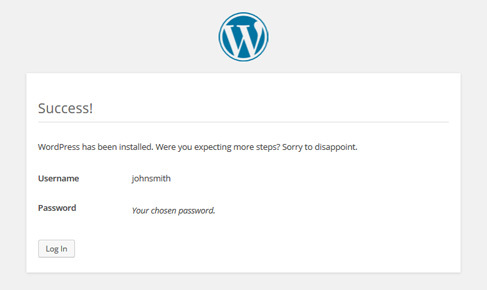 Then click "Install Wordpress". Success! You have successfully installed WordPress. Click Log In to enter the login screen. 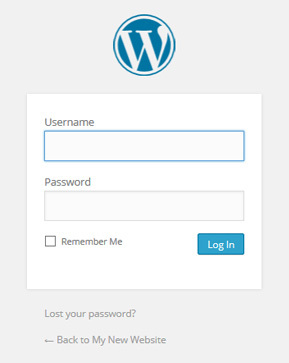 Login to Wordpress using the login details you have just recently set up. 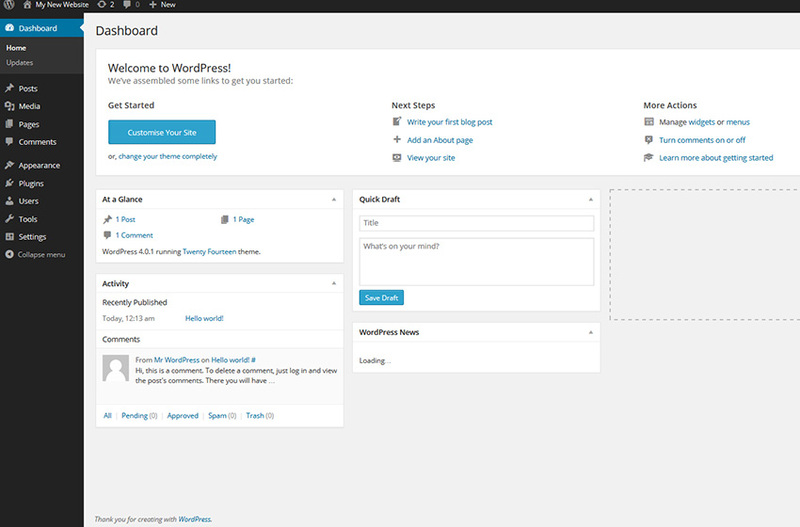 Once logged in you will be able to start editing your site's content via the Dashboard!